Restricted to persons 15 years and older. Strong horror, violence, blood and gore. In this claustrophobic and harrowing horror film, a teenage girl Sam is abducted by a deranged serial killer couple in rural South Australia. After managing to escape, she seeks refuge in an isolated farmhouse – only to discover that the cabin in the woods is home to even greater horrors in the form of a malevolent spirit. As Sam is forced to fight for survival, power dynamics shift and blur, until it’s no longer clear who is a villain and who is being forced to commit evil. Loosely based on a series of real-life murders, Inner Demon debuted at A Night of Horror International Film Festival where it picked up the awards for Best Australian Feature, Best Australian Director and Best Female Performance. When two friends attempt to dabble in amateur witchcraft, they are not prepared for the hilarious unintended consequences. 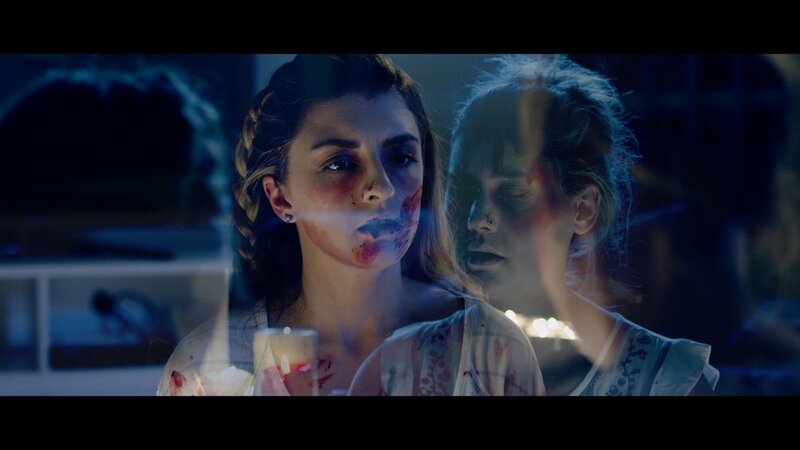 This horror comedy follows the women’s misadventures as things quickly go from bad to bloody, putting their courage and their friendship to the test. Blood Sisters is the second short film for award-winning genre filmmaker Caitlin Koller. It has won a slew of awards worldwide, including Best Foreign Horror Comedy Short Award at the 2017 Atlanta Horror Film Festival.